Classic and elegant, she'll bring charm to every look with the Jefferies Socks™ Cable Tights! 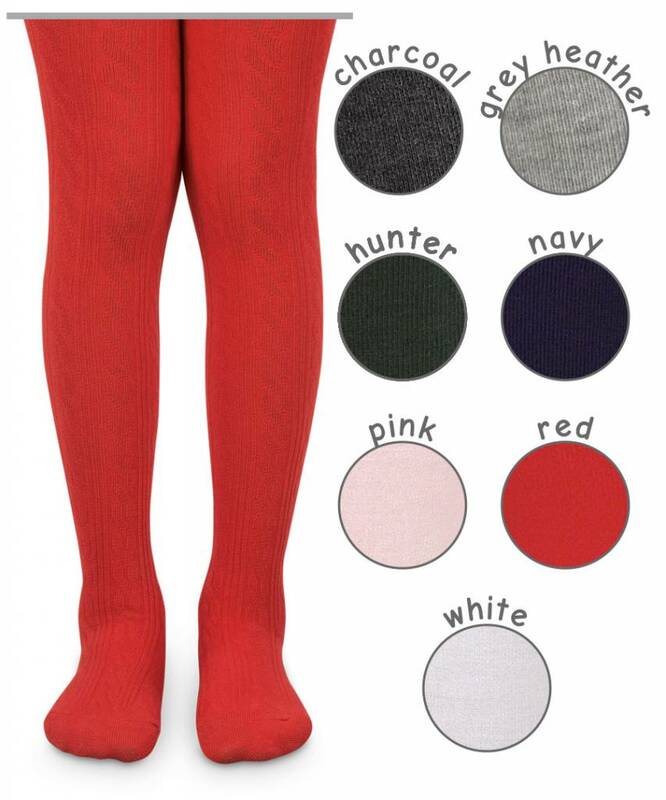 Durable cable-knit tights provide crafted from a soft mid-weight cotton-blend knit, providing warmth and modesty. Elasticized band for easy wear.